It’s getting to the time of year when you just can’t ignore Christmas…no matter how much you might like to! If you’re anything like me (and are prepared to admit it) then there are some people on your list that are just impossible to buy for. Well, in the spirit of giving, here’s the Lucy Armstrong Gift Guide to Buying for Awkward Relatives (or friends…or anyone in between); just look down the list for the type of person you have to buy for, and voila! there’s the perfect stocking filler or pressie! The Grown-Up: that person who is just too adult for Christmas, and would rather be doing something serious…in a library or a museum or something. Dark Chocolate Salted Caramels, Seriously delicious…and seriously grown-up! Dark Chocolate Almond bar, Keeping it simple, but without skimping on quality or flavour. Dark Chocolate coated Coffee Beans. The Espresso of hand-made chocolates. The Wannabe Grown-Up: You know the one; wants to be seen as mature and serious, but inside is really a big kid! Dark Chocolate Coated Honeycomb. What else needs to be said? 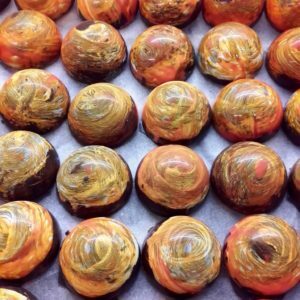 Gianduja Chocolates, with their layers of dark and light chocolate and a sumptuous hazelnut praline…wowsers! Or how about our award-winning Jaffas, with a dark chocolate shell wrapped around a gorgeous orange ‘marmalade’ filling and a dark chocolate orange ganache. This one is the REAL chocolate orange! The ‘Age is A State of Mind’: Irrespective of age, some people will never give up their inner child, and look forward to Christmas as a great time to indulge in fun as well as flavour. 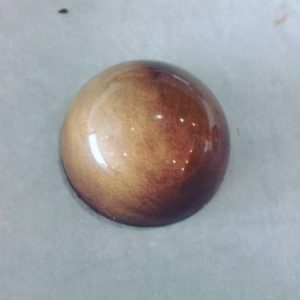 How about a Chocolate Bombe? 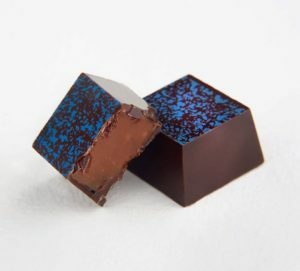 A Great Taste award winner, with milk chocolate, salted caramel, vanilla marshmallow and biscuit…. Milk Chocolate Caramels…what’s not to like? Or how about a Milk Chocolate Bar with roasted hazelnuts and cocoa nibs? Of course, not everyone fits into one of these categories, but don’t worry; we have boxes featuring a selection of our awesome hand-made chocolates, from tiny Christmas crackers with two chocolates right through to boxes of 24, as well as a range of bars, bags and gifts. Stocking fillers too, like our Christmas Chocolate Lollipops, Hot Chocolate Stirrers…. Why not pop in to our East Wittering Cafe for a coffee or a hot chocolate and browse the whole range? Or you can always shop from the comfort of your own home via our website…but then you miss out on the Hot Chocolate!